What class mail were the card sent out? dalef62 replied to dalef62's topic in AACA Eastern Division National Meet - HERSHEY! dalef62 replied to trimacar's topic in AACA Eastern Division National Meet - HERSHEY! The one that was in the green field had no graphics on it. I saw a picture of the one on the show field and at first thought it was the same one, then noticed the graphics. Unless they were magnetic decals?? It sure did sound nice coming past our space every day! dalef62 posted a topic in AACA Eastern Division National Meet - HERSHEY! Steve, I understand about parking problems and I know about the stickers. We will check on local homes but we are trying to get things lined up before we go. As for HE&R, I commend them for the job they do. It is a big undertaking and they, Hershey Region, AACA and HE&R do a fabulous job. 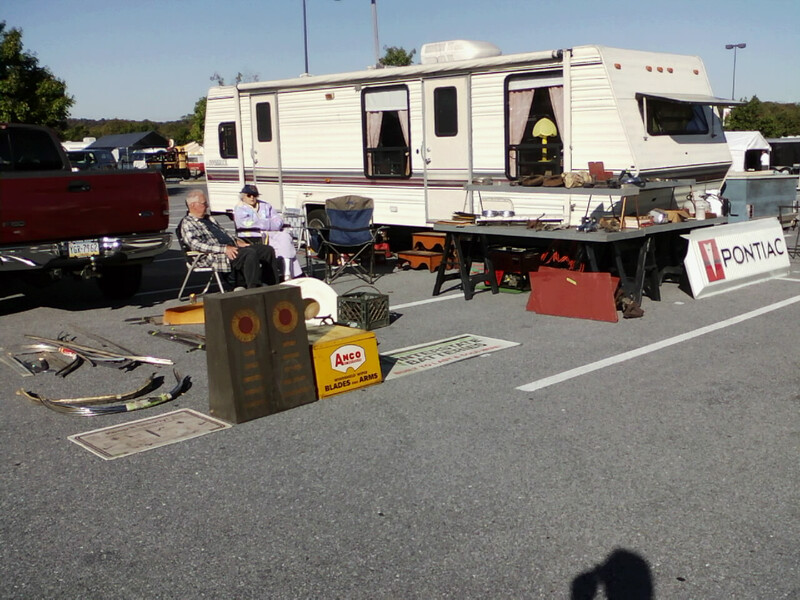 I just thought that if there was a place that someone could park a car for the entire week for a smaller fee than RV parking, that maybe it would free up some flea market space as some vendor would park there vehicles in the weeklong area? Again, thanks for the ideas and we will check into those options. Thanks for the offer Dave. My brother lives about 1 hour away too, but we were hoping for something right in the area. It is really a shame that someone doesn't have a place just to park cars for the week at a reasonable cost. Might even free up some flea market space and make the flea market better? Does anyone have any room on there space for a car(modern day midsized) for the week? Message me and we can work out the details. I have checked with the Museum and they want $120.00 to park a car there from Tues. to Sat., RV parking rates apply whether you are parking a car or a RV. Does anyone have a spot we could park this car for the week for a small fee??????????? Has anyone had any luck parking at a shopping center long term? Check that upper rad hose. In the one picture it looks like there is a mark from where the old battery was rubbing on it?? Awww man! I was working on a deal with Reed to get some parts for my Thunderbird!!! He had just what I wanted. LOL I just looked at the time he joined and the time he messaged me and said that he is scamming. Wish there was a way to fry their computer when you ban them! 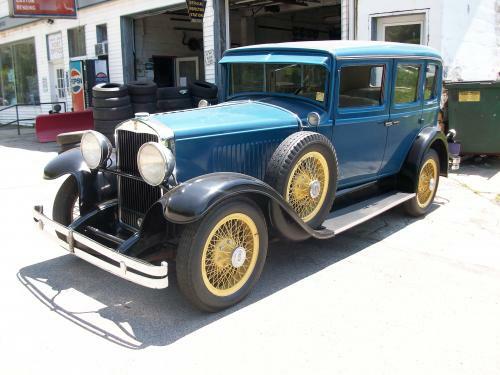 Any interest in this awesome car? I found my luck (maybe)! If Popeye and Brain are in Carnegie PA, that is not to far from where I am located. About 30 miles from me. Brian and Popeye must be in my neck of the woods. Nice car!!!! Taking some time off the FOR to sell my dads collection of cars. He has decided it is time to let his collection loose and let others enjoy the hobby. I have been quite busy showing and moving cars the last month. Several cars have sold but have lots to go. 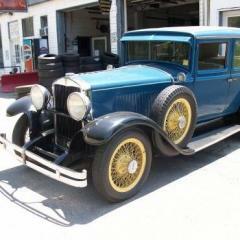 If you are interested, check out the buy/sell forum "Lifetime car collection for sale (pictures posted)" and buy a car. dalef62 replied to Caretta's topic in What is it? Curti, Yes that is the gas filler in the tail light. It is a 1953 Nash as it has the over riders on the bumpers. Just a short update on this, I received a refund to my PayPal account from eBay. I also received a survey from them, I hope they see how disappointed I am in them. Looks good Alice! Have fun with Dexter. I have been fighting with eBay and Paypal for about 3 weeks on a purchase I made with an e-paypal gift card. It withdrew money from both the e card and my paypal account, which overdrew my bank account as I keep very little in that account. I called Paypal, who said they know there is a glitch in eBays system but it was not their problem, transferred me to eBay, ebay says they can't see where it took money from both card and paypal and there is no glitch and transfers me back to paypal. After several calls, eBay says, "Yes, I see where it took money from both the card and your paypal account", but we can't fix it, it is paypals problem... Back to paypal. Paypal says they can fix it, it was a glitch in eBays system and they know about it and they have to initiate the refund. Several more hours on the phone and back and forth between the two because neither one can initiate a 3 way call. Finally a "teammate" from eBay says that paypal will be issuing a mass refund in a few days, I should have the money by Friday April 7th, maybe???? NO money yet!!!!!! This week I called on Monday and it was almost like starting over, but I think??? ?, I might have gotten somewhere, again back and forth between the two until I said I want to speak with a supervisor, he was able to 3 way call and I actually have a conformation number. I even got a phone call from eBay yesterday confirming the call that I made on Monday. I might get my money back this week??? Overall I have spent about 5 hours on the phone, been transferred back and forth too many times to count, have killed the battery on many cordless phones and still am waiting. I have really got a bad taste in my mouth from this experience and the lack of desire to fix it on eBay and paypals side. Starting to work on the body by clearing out the passenger area, removing the seat braces and such. It really is amazing that most of the bolts once loosened turn right out. I have a couple nut/bolts that are rusted enough that I can't get a socket/wrench on them and will probably need a little heat to loosen them. The next thing to decide is whether I want to replace the entire floor area or just sections of it??? I replace the entire floor on my brother in laws FOR and it wasn't that hard, with the exception I had to add some to the 4'X3' sheet of metal to make it big enough. Also a couple of pictures of the sides, the drivers side is good with one small hole at the front. The passenger side will get replaced as it is pretty rough. And one hole on the lower cowl panel on the passenger side. Well back to work!